15 days North India & Nepal Heritage tour is aimed at gleaning the most sought after tourist destinations of north India and Nepal to showcase the culturally rich and colorful heritage of the two neighboring countries. 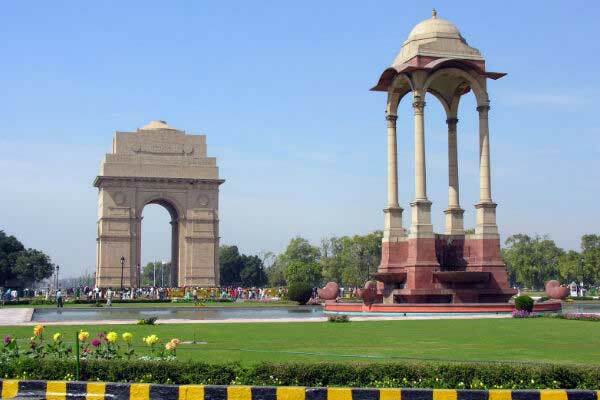 The tour starts from Delhi, the political centre and capital of India. Visit of Old & New Delhi will introduce you with cosmopolitan as well as emerging India along with visit to behemoth monuments. 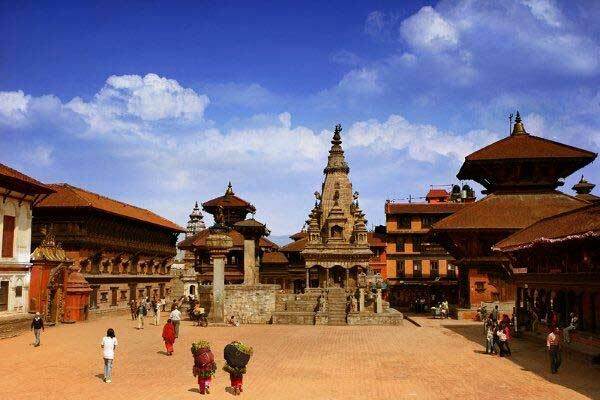 After Delhi tour, the North India & Nepal Heritage tour enters into Nepal and showcases cultural richness of Kathmandu, Patan and Bhaktpur, collectively home to seven UNESCO World Heritage sites. From Nepal, the North India & Nepal Heritage tour itinerary takes the guests to Varanasi, the cultural & spiritual capital of India and a pilgrimage of the Hindus. Kamsutra temples fame Khajuraho happens to be the next stop to explore. While on north India journey, one can’t miss Agra, the seat of celestial Taj Mahal. After Agra, the North India & Nepal Heritage tour makes a guest to plunge into royal, regal and quintessential Rajasthan with never-to-be-missed-destinations of Jaipur, Pushkar, Jodhpur, Ranakpur and Udaipur. Having seen Patan and Bhaktpur, return to Kathmandu. In the evening, attend cultural show and later return to Kathmandu hotel for overnight stay. 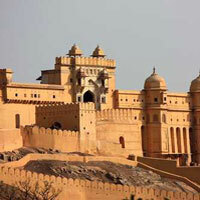 Any visitor who tours India, two destinations remain on top of the must see list. These destinations are Varanasi and Taj Mahal. After a delightful morning breakfast drive for Tribhuvan airport of Kathmandu to board flight for Varanasi. Upon arrival in Varanasi, representative of Optima India Tourism will meet and give transfer to Varanasi hotel. Thereafter, drive to Gadaulia to lead to the ghats of Varanasi to watch the spectacle of mesmerizing worship ceremony of the Ganges. Rajendra Prasad Ghat of Varanasi is where Ganga Aarti (Ganges Worship Ceremony) is performed every evening. Enjoy the serenity, religiousness and all pervading spiritual atmosphere. After early morning breakfast, proceed on ghats & temples tour of Varanasi. 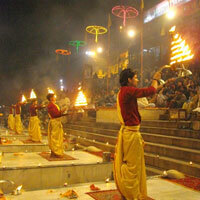 The Varanasi tour guide will receive you in hotel lobby and take you to the ghats of Varanasi. A boat ride in river Ganges along the ghats will help you understand and feel the importance of the Ganges for a Hindu. You will be a witness to various traditional religious practices and rituals, being performed as part of daily routine by the Hindus. Many facets of Hindu religion and way of life will unfold before you. The 7 kms arc that emerges out of more than 100 ghats on the western side of the Ganges, proffers an amazing view of enchanting sunrise and morning of Kashi (City of Lights- as Varanasi is called). After morning boat ride in the Ganges, return to Varanasi hotel to refresh, relax and have breakfast. Having relaxed a bit, proceed on for Sarnath. Sarnath, about 13 kms from Varanasi city, has been a major centre of Buddhist learning, philosophy and religion. 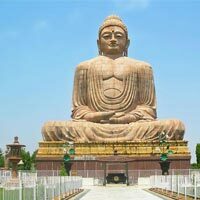 Lord Buddha, after attaining Supreme Knowledge at Bodh Gaya, delivered his first sermon in Sarnath. Owing to this, Sarnath is one of the most prominent Buddhist pilgrimages. There was a huge monastery in Sarnath but that had been razed by intolerant Muslim invaders. The debris and a large stupa have been preserved here by Archaeological Department of India. There is a nice museum having the finely sculptured statues. Sarnath is credited with one of the Asokan Pillars as well. Sarnath's destruction and degradation was complete and remained so until the mid nineteenth century, when excavation was begun and continued, under the impetus of Lord Curzon, in the twentieth century. After visiting Buddhist monastery and museum, drive to a nearby Tibetan Buddhist temple. Enjoy colourful monastery of Tibetan Buddhists. Hereinafter, return to city of Varanasi to have lunch in a nice restaurant of Varanasi. Now, after Sarnath tour, you will be taken on Varanasi temple tour. Varanasi is famous for its narrow alleys. Roaming through these alleys offers a distinctly unforgettable lifetime experience of exotic India. In order to visit Kashi Vishwanath temple, you will have to pass through these narrow lanes. The Golden Vishwanath Temple is the most sacred temple in Varanasi and every Hindu pilgrim visits it. 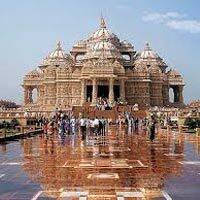 Visiting the temple will unfold many aspects of spiritual and religious India. There are many other temples of significance in Varanasi like Vishwanath Temple in Benares Hindu University, Sankat Mochan Temple and Bharat Mata Temple. Bharat Mata temple is unique in the sense that it embodies undivided cultural India. Having seen major tourist attractions of Varanasi, return to Varanasi hotel for overnight stay. Have relaxed breakfast in Varanasi hotel, check out from Varanasi hotel and move for Varanasi airport to board flight for Khajuraho. 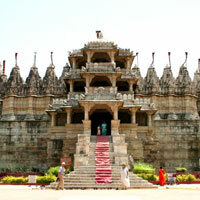 Upon Khajuraho arrival, representative of Optima India Tourism will meet you and give transfer to hotel. Check in at Khajuraho hotel, refresh yourself and visit the western group of Khajuraho temples-probably one of the best examples of Indian art and architecture. 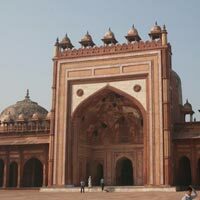 Today, on North India Heritage Tour, we explore Agra- the seat of Taj Mahal and the city of love. 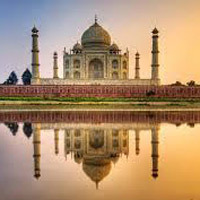 There, your Agra tour guide will meet you and take you for a tour of the monuments of love- Taj Mahal and Baby Taj (Tomb of It-Mad-ud-Daula). Taj Mahal looks very beautiful at the time of sunrise. 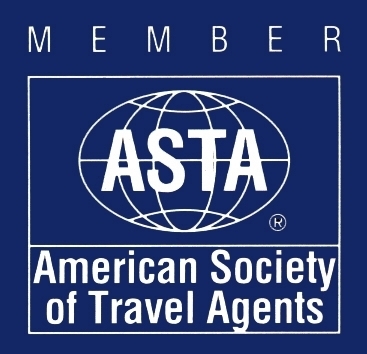 At the time of sunrise, the Agra tour guide, appointed by Optima India Tourism, will meet you in lobby of Agra hotel. 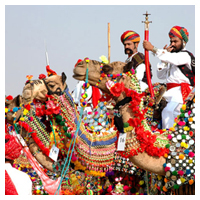 You will be taken to the Taj Mahal on 'tonga' (horse carriage), imparting you exotic feel of medieval era India. This will be an exotic India experience for you. 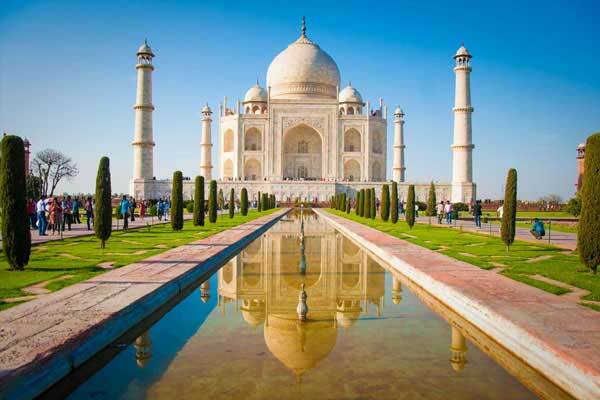 Taj Mahal, the star attraction of India as well as Agra, was built by Shahjahan in white marble of Makrana in fond memory of his wife Mumtaj Mahal. Post lunch, drive to visit impressive Agra Fort. The Agra Fort is home to elaborate palaces built in Indo Islamic architectural pattern. After Agra city tour, proceed on for exploring local market of Agra. Stop at Shoppers' Paradise- a flagship government recognized store of Agra which offers excellent range of fashion wear, exotic wooden articles and exclusive white marble handicraft products. The . Total Meals: 15 (Breakfast-14 & Lunch-01). 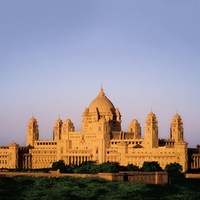 Total night stays: 14 (Delhi-02; Kathmandu-02; Varanasi-02; Khajuraho-01; Agra-02; Jaipur-02; Jodhpur-02; Udaipur-01). Vintage Car ride in Udaipur famous for its classic car collection. < Delhi: Handlooms, handicrafts, stalls that sell products from all over India (Dilli Haat). Delhi: Street foods/snacks like ‘tikki’, ‘chaat’, ‘Dahi Bhalla’, ‘pao bhaji’, ‘fruit chaat’, ‘rabdi faluda’. Agra: Biryani at Heeng ki Mandi. Varanasi: Hot and garlicky fish steak (Lahsun wali machali). Jodhpur: Lal-Maans- a non-veg. cuisine. Udaipur: Ker Sangri, Papad ki Sabzi and Dil Jaani sweet.